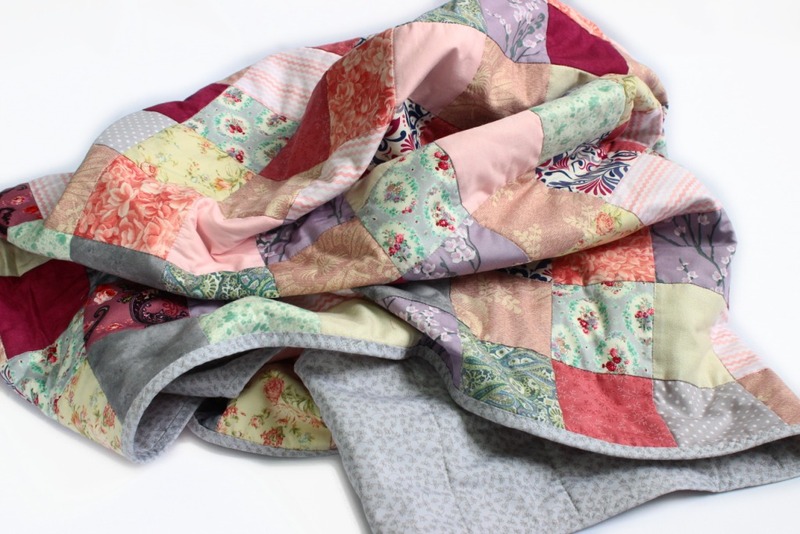 A pure cotton quilt in super delicate feminine pinks and greys. 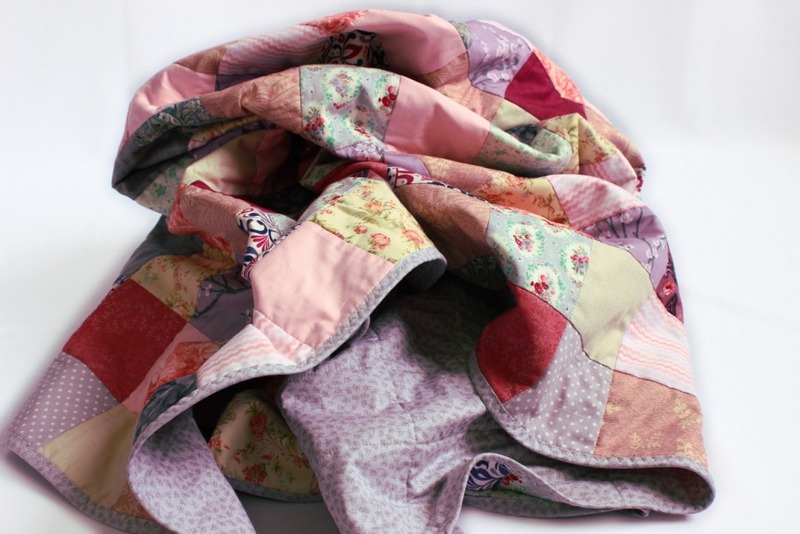 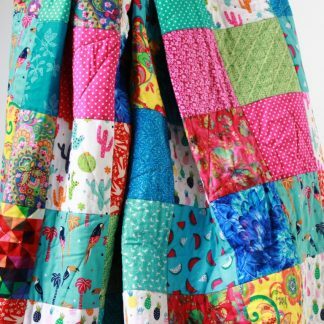 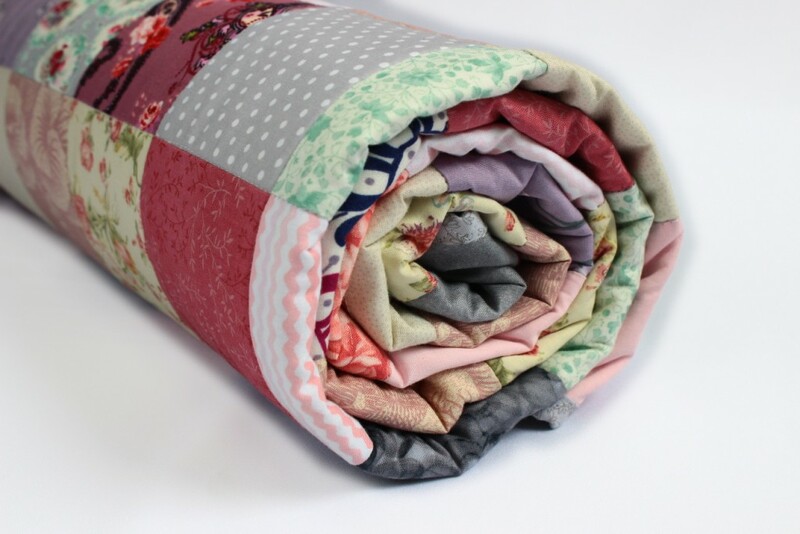 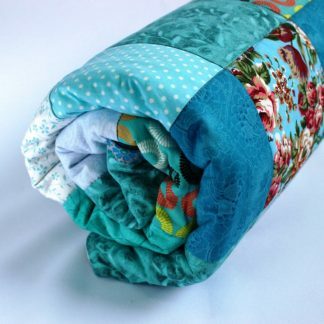 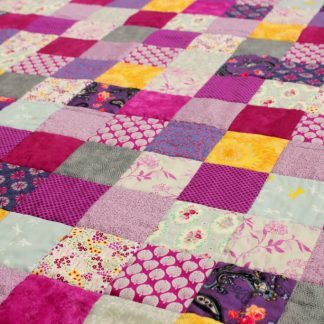 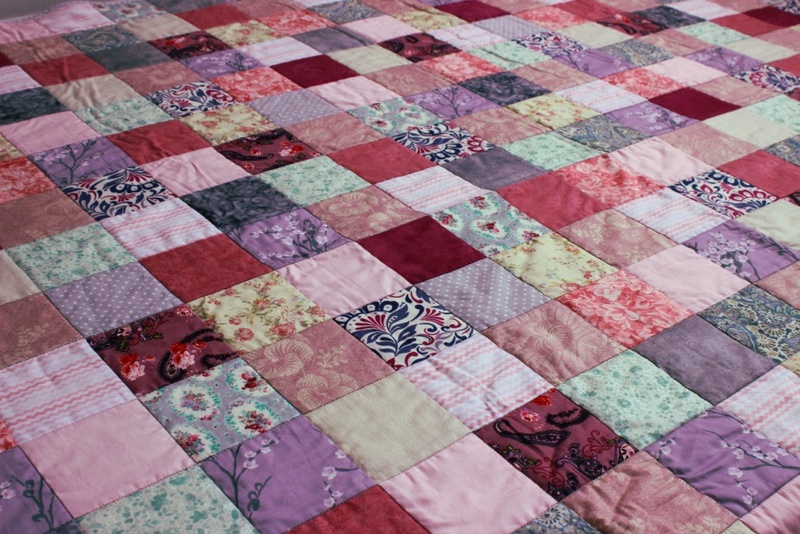 Interspersed with cool mint and a few pops of berry to give the quilt a little vibrancy. 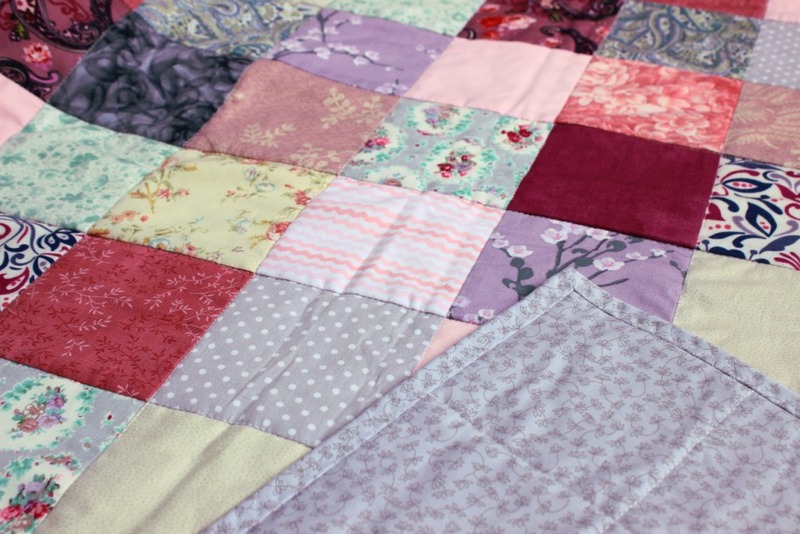 Made with little 4″ squares to give a hazy, soft focus look.